Selling fragrance online isn&apos;t easy. Sure, an e-commerce site could be useful to someone looking to quickly restock a favorite perfume, but getting a shopper to sink cash on a scent she hasn&apos;t even smelled? That seems like an impossible task. 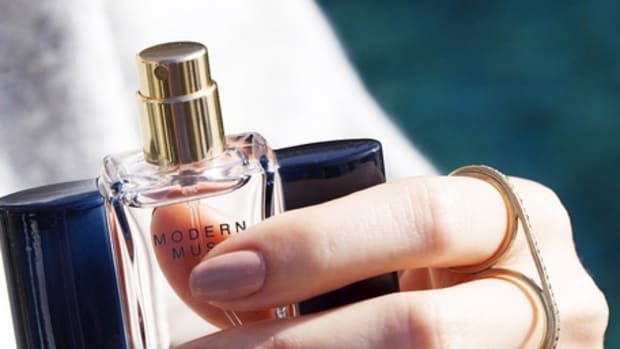 But according to a new report from NPD Group, consumers are increasingly interested in buying their prestige fragrances (the designer brand bottles you see lining the walls of a Sephora, for instance) online, with direct-to-consumer sales up 10 percent in the year ending in February. That&apos;s impressive when measured against sales in prestige department stores overall, which dropped 2 percent. At the same time, gift sets pulled ahead of individual fragrances last year, accounting for 46 percent of direct-to-consumer sales, up 9 percent from the year before. Single fragrances represent 44 percent of sales. It&apos;s not clear if there is a relationship between the jump in online sales and this inclination to buy multi-scent packages, but it seems like it would be a pretty clever way to circumvent the tricky issue of purchasing a fragrance without testing it out first. This Birchbox-like approach to scent sampling also assumes shopper are buying gift sets for themselves; if they&apos;re buying for their friends and family… well, perhaps generosity is trending. Another surprising bright spot? Men&apos;s prestige fragrances, which saw a 19 percent uptick in sales last year to beat out both the women&apos;s category and the market overall. More good smelling guys in the world? No complaints here. A new breed of online native brands are seeking to become shoppers’ go-to for luxury basics, claiming to have found the DNA for the perfect T, the perfect jean — and, possibly, the perfect business model. Fashionista takes a look at the advantages and risks of this new cohort of ecommerce startups. Meanwhile, fragrance brands are launching lingerie.